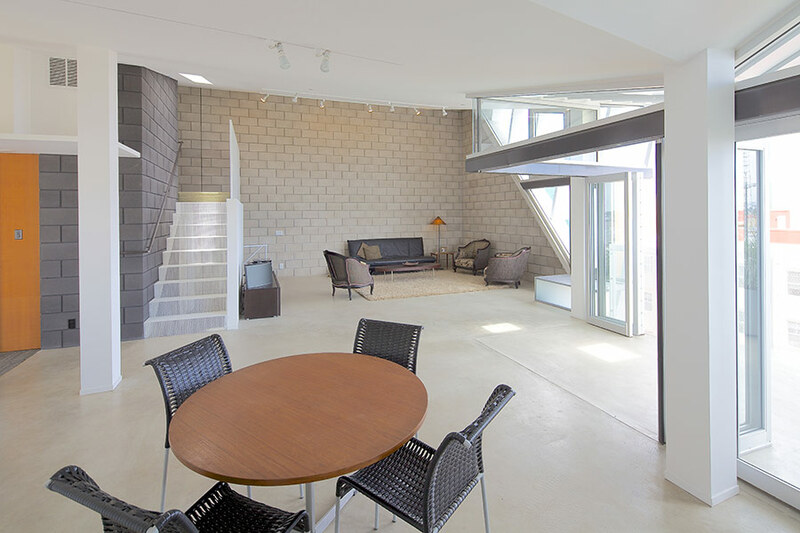 The house features a concrete brick aesthetic. 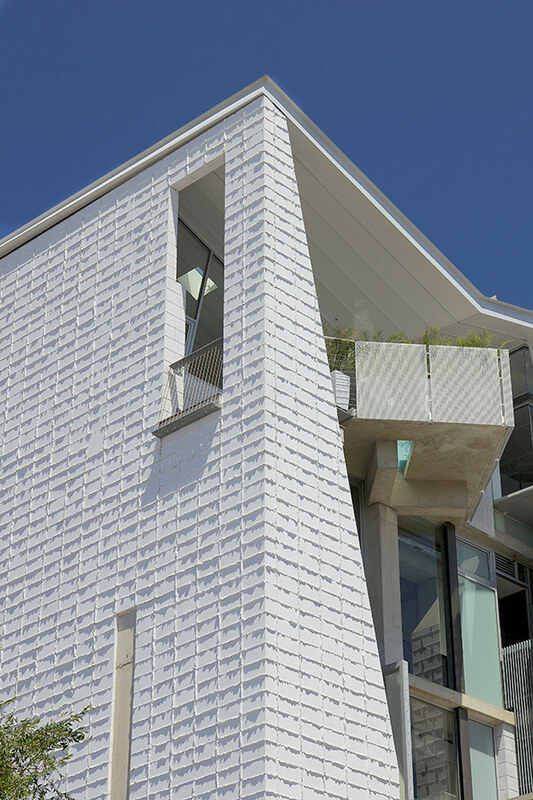 On a recent morning, sunlight raked the white concrete block of architect Rob Quigley’s new five-story live/work building in downtown San Diego. He and wife Kathleen, who served as contractor, have dubbed the building Torr Kaelan, Gaelic for rock outcropping or boulder. It includes a pair of penthouses on the fourth and fifth floors, as well as offices on the second and third floors, occupied by Quigley’s firm and a graphic design company. 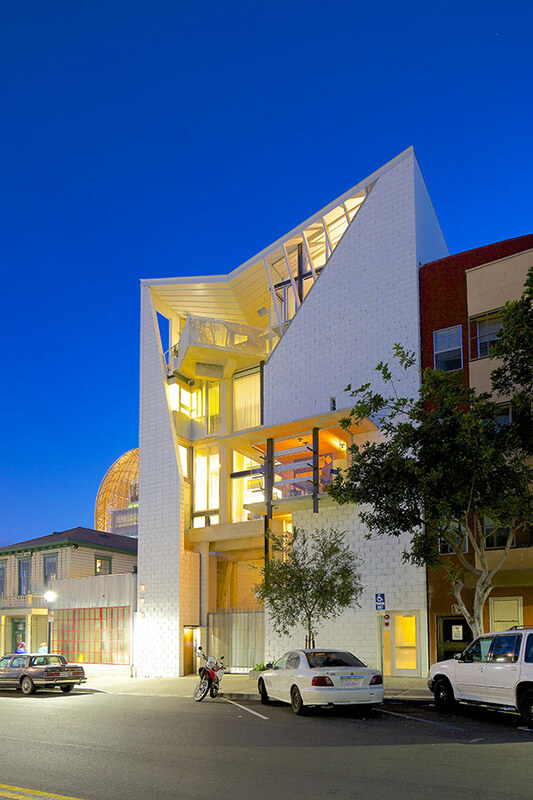 Nearby, the dome of San Diego’s new central library, also designed by Quigley, stands as a civic beacon. Together with Antoine Predock’s Petco Park baseball stadium, it is spurring a new wave of downtown development. A veteran of downtown, Quigley first staked his claim in the 1980s with a live/work building in Little Italy. Since then he has designed downtown SROs, multi-family housing, mixed-use buildings, and the New Children’s Museum in the urban core. The Quigleys bought the 42-by-100-foot lot five years ago. 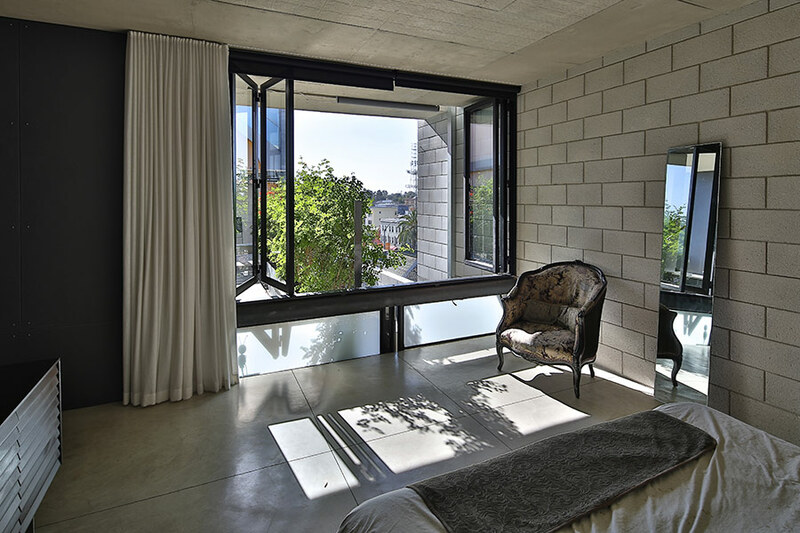 The building combines concrete block, concrete, steel, and a large variety of aluminum windows. The concrete block was assembled with what Quigley calls “juicy joints”—grouting that oozes from between the bricks. The pieces are finished with an inexpensive mix of lime and water, slopped on with brushes. It provides a flat finish that will patina over time. Filled with concrete and rebar, the five-story walls are mostly 8-inches thick, 12-inches where loads are greater. 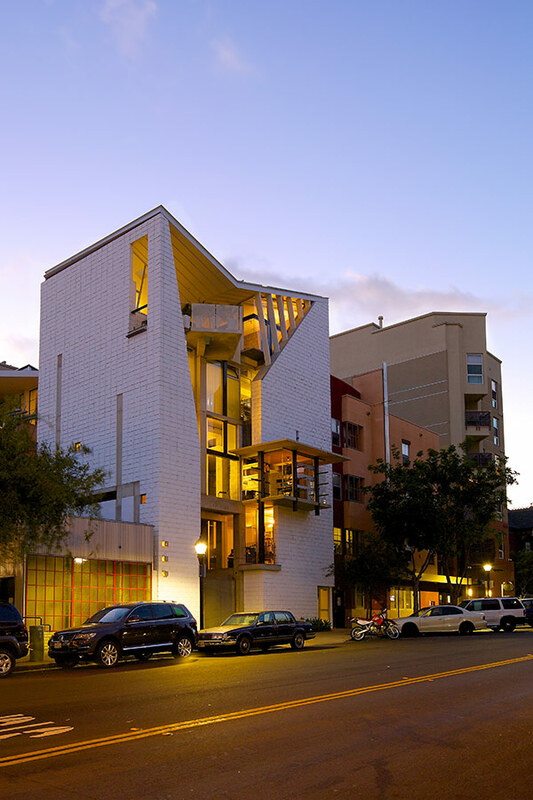 The front facade is energized by popouts: a third-level conference room and an angled penthouse balcony. From the sidewalk, a redwood door swings open to the chime of a sculpture of steel tines, made by a local artist. Redwood is used extensively inside and out, the architect’s nod to the redwood forests that produced lumber for many early California buildings. 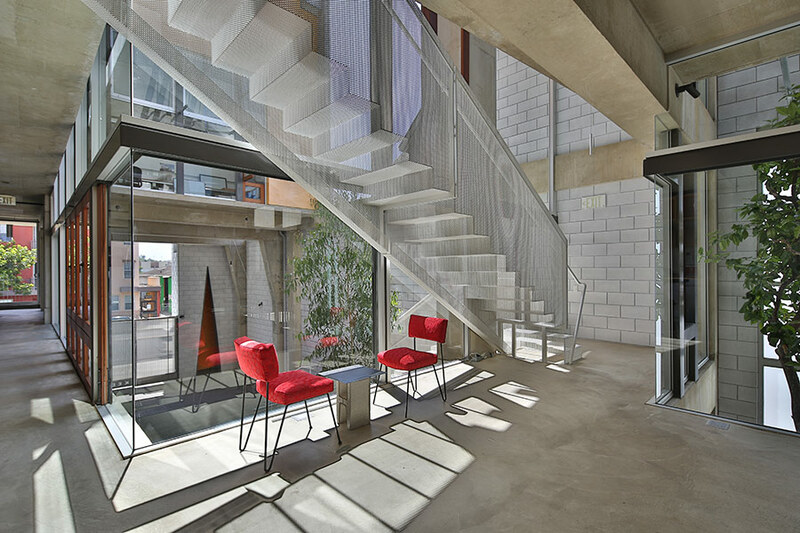 Access to upper levels is by elevator or stairs of thin folded steel, visible as they rise through the open spaces. Open planned living space opens up a carved outdoor space. 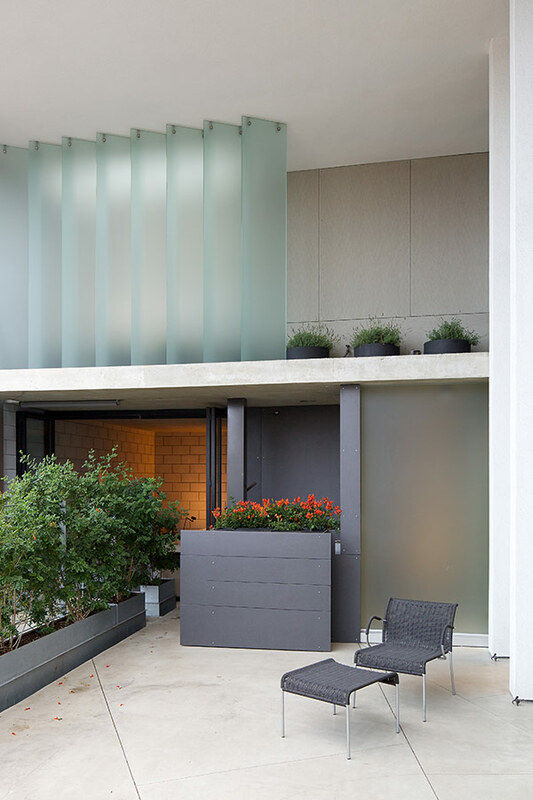 Next to the pedestrian entrance, cars enter through a motorized steel gate that leads to a courtyard at the building’s open center, which rises to the 60-foot-tall building’s roof. Surrounding this space with lots of glass, interiors are flooded with natural light. Behind the courtyard is an underground garage with chargers for Quigley’s Tesla and Kathleen’s Leaf. Two other parking lots are tucked elsewhere under the building, accessible from side streets. 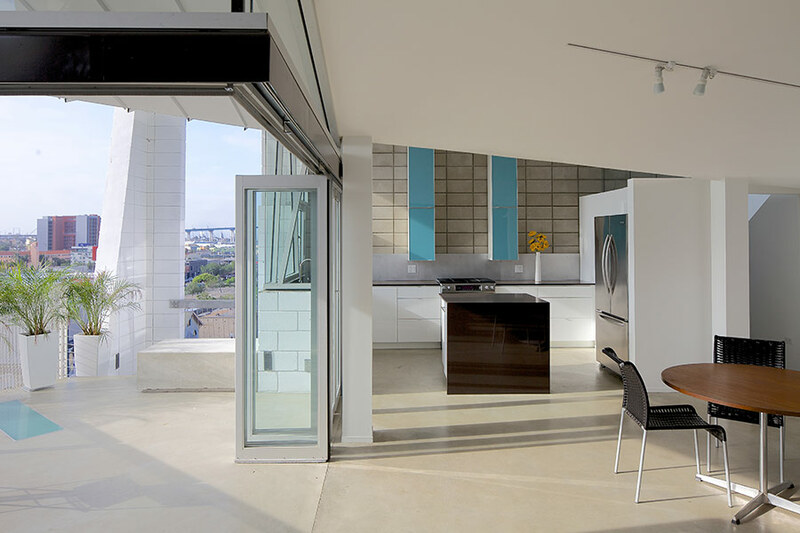 Quigley’s penthouse has an open plan beneath an 11½-foot-high ceiling. 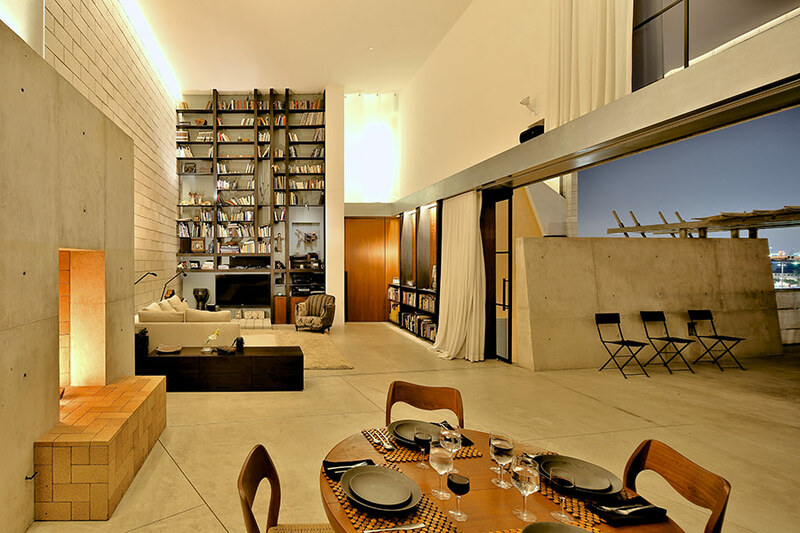 Full-height bookshelves cover one wall. The kitchen has concrete counters and steel shelves. 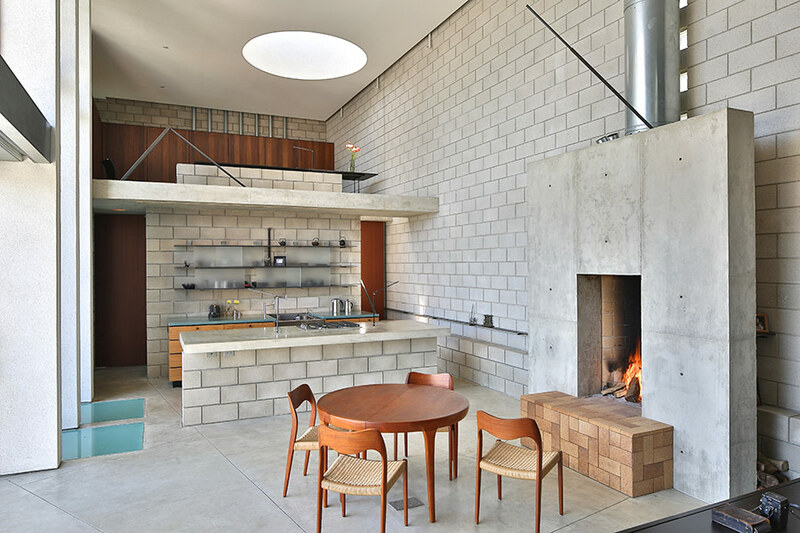 The centerpiece of the open living area is a tall, shallow Rumford fireplace—named for Sir Benjamin Thompson, a.k.a. Count Rumford, whose 18th-century invention is known to increase airflow and project heat deep into a room. 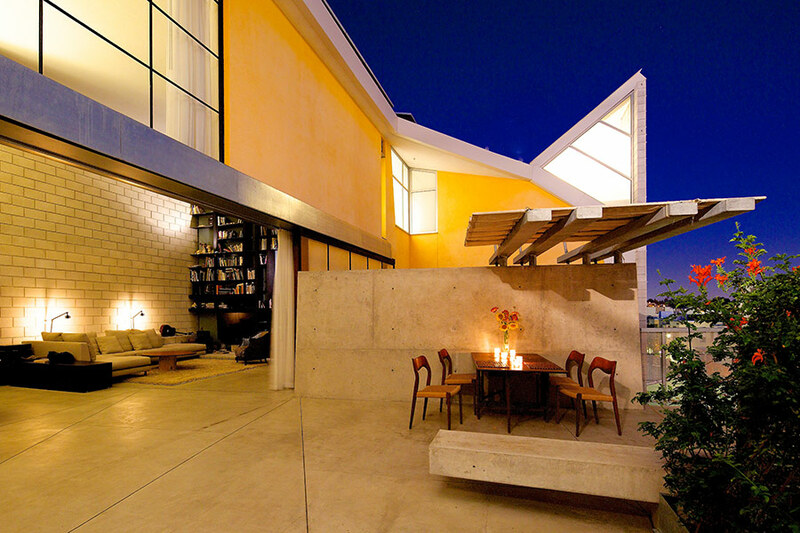 Long a proponent of green design, Quigley said that Torr Kaelan is net zero. Passive solar and energy-efficient lighting contribute. Operable windows and a rooftop cupola skylight are adjusted through winter and summer to regulate air flow and temperature. Quigley would like to recycle gray water but current San Diego codes will not allow it. In case codes are revised, the building is plumbed for recycling. After 30 years downtown, Quigley said he plans to stay well into old age. He enjoys life in this bustling urban environment. Earlier this year, he and Kathleen attended the library’s first anniversary party, watching acrobats swing on a trapeze in an archway.